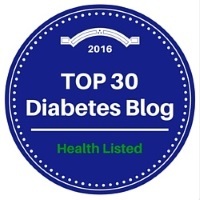 The views and opinions expressed on this blog are purely sole opinion, and how Calla Michalski manages her life with type 1 diabetes. Products shown and services used are merely ones she prefers to use. Websites and topics of information has been found by simply surfing the web, and credit will be given where needed. If any links or credit are missing, please advise by sending an email to iamatype1diabetic@gmail.com. Thank you, and I hope you enjoy reading about my everyday life struggles as a Type 1 Diabetic. Any of the original content found on my site is my property and should not be reproduced, copied, or otherwise used without the author’s expressed written consent. and I am a Type 1 Diabetic. T1D is not just me, but it does help to explain who I am. I was diagnosed at the age of ten, and I've been doing my best to manage my blood sugar levels, insulin intake, and food & carb ratios ever since!